Serving breakfast lunch and dinner. Known for their freshly grilled hamburger, French fries and Onion rings. 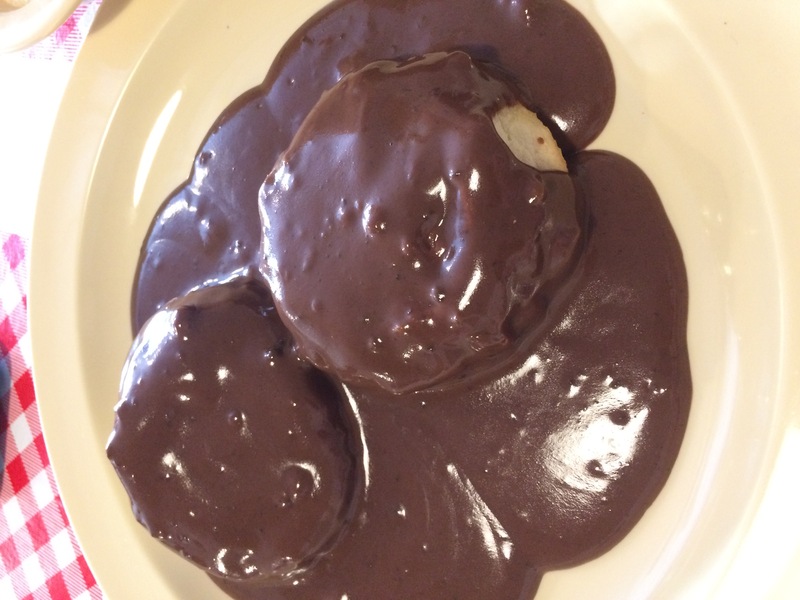 We stopped for breakfast, they have “chocolate gravy” that you can get served over biscuits. Now when I say chocolate gravy, I am not say brown gravy with a bite of chocolate added. No! this is a semi-sweet chocolate gravy, and yes, it’s different, but quite tasty. Debbie enjoyed eggs over easy with sausage and toast. I enjoyed eggs sausage, hash browns and, Yes! The chocolate gravy over my biscuits.